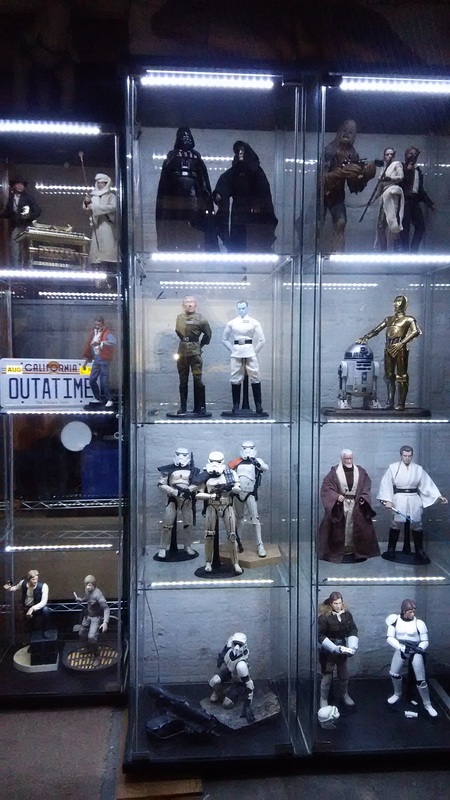 Many collectors (of a great many things) really love the Detolf display case from Ikea. They’re sleek, elegant, and affordable. 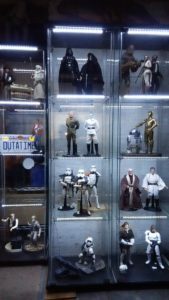 The simplicity of the design makes for a great way to display your collectibles without detracting from them. I really like adding lighting. Unfortunately, the options from Ikea are limited. A simple “hockey puck” style light in the top of the case is ok, but the light doesn’t really make it all the way down through the case. 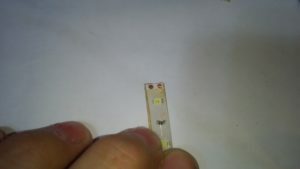 I’ve come up with an affordable alternative that gives you great light throughout the case, for about $15.00 per case. Paper Towels or lint-free cloth. 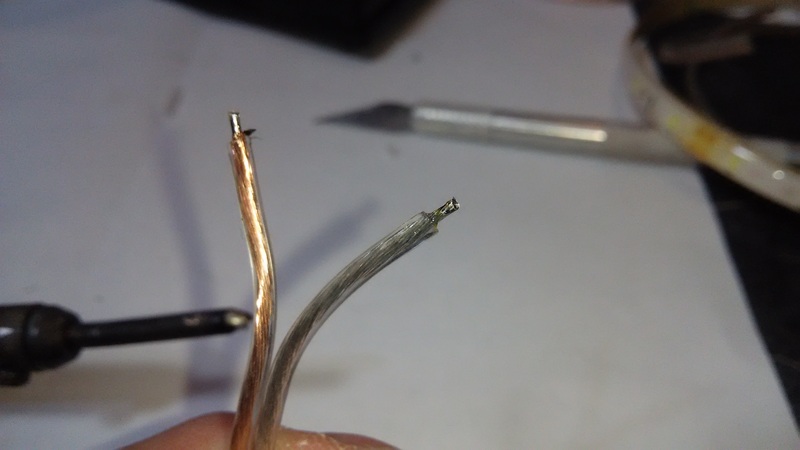 First, cut your wire lengths. 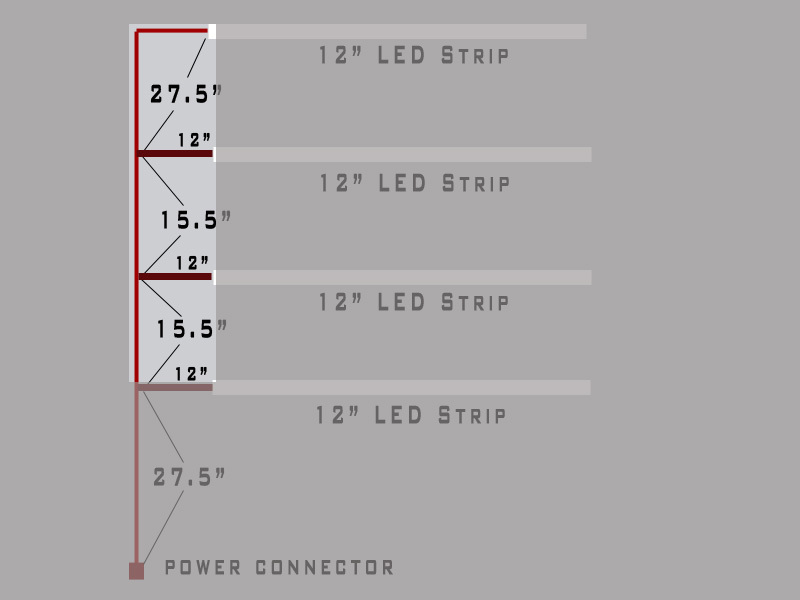 You’ll need 2 pieces 27.5″ long, 3 pieces 12″ long, and 2 pieces 15.5″ long. 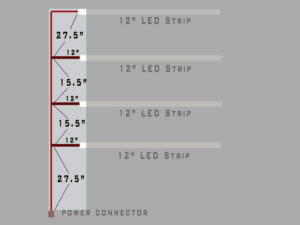 Take the first 27.5″ long piece, and strip back one end of each conductor back about .5″. twist the exposed conductors of each wire. 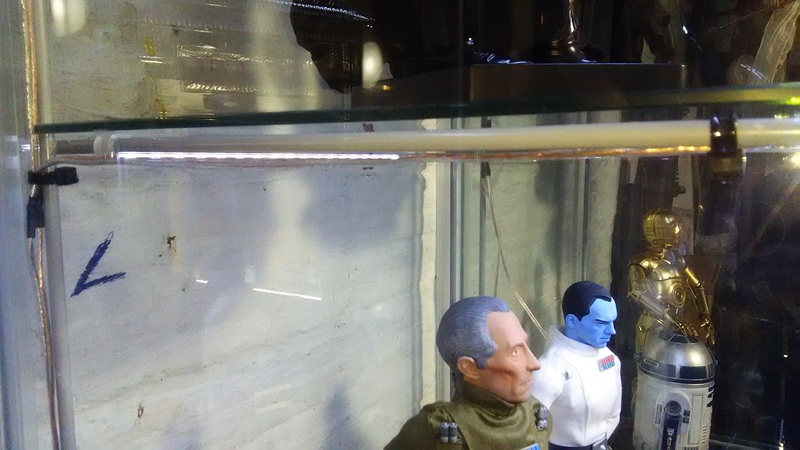 Then, do the same with one of the 12″ pieces. 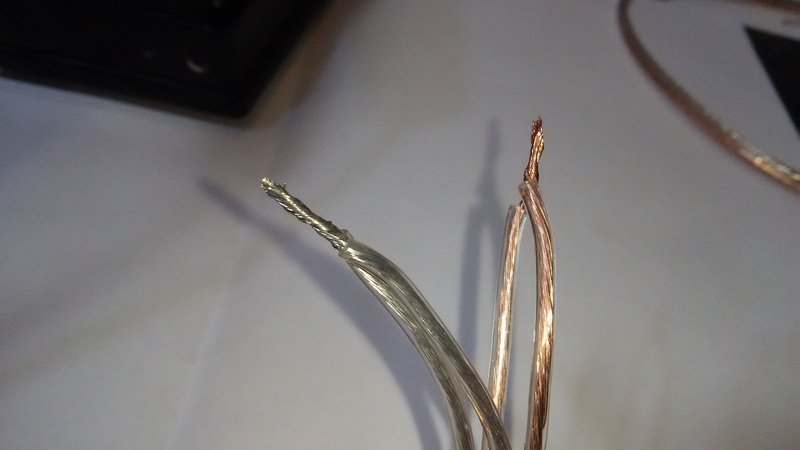 This should give you a “Y” cable like this one. Now strip the ends of one of the 15.5″ pieces. 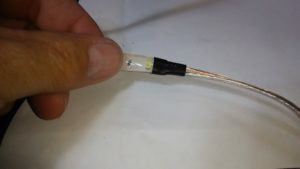 Slip a .5″ long piece of 5/32″ diameter heat shrink tubing onto each conductor, then connect this cable to the Y cable you just made. 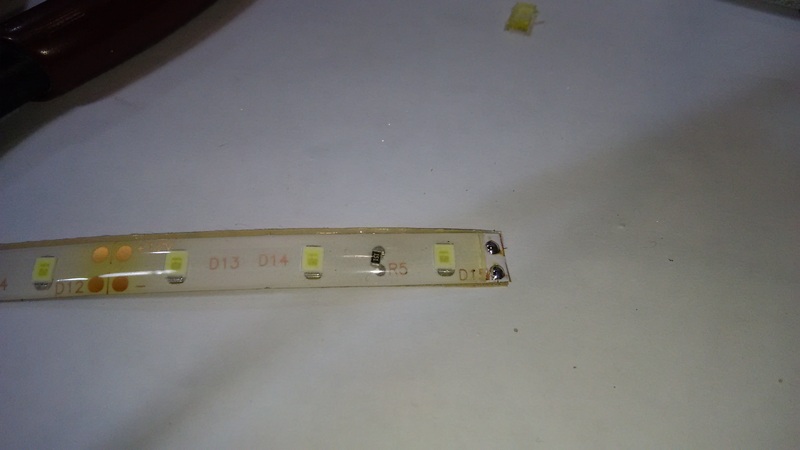 You can solder these connections if you prefer, but I haven’t found it necessary, and it’s easier to undo things if you mess up or need to change something. Slide the heat-shrink tubing over the connection and use the heat gun (or lighter or candle) to shrink the tubing. 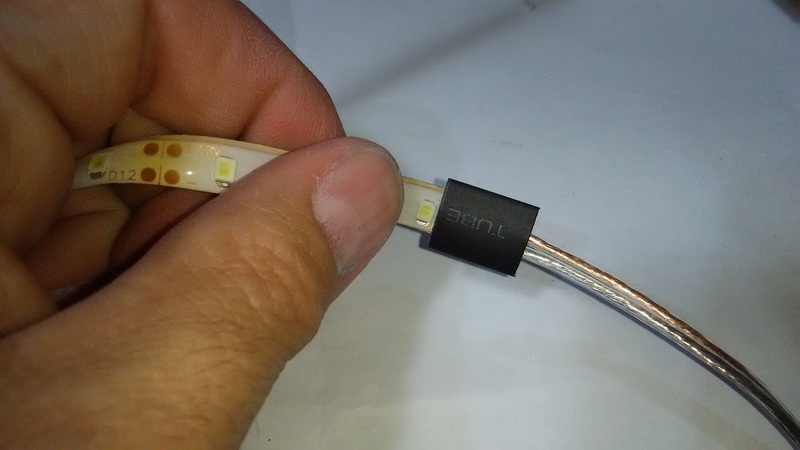 You can use electrical tape, but heat shrink tubing gives you a cleaner finish. Next, strip the other end of the 15.5″. 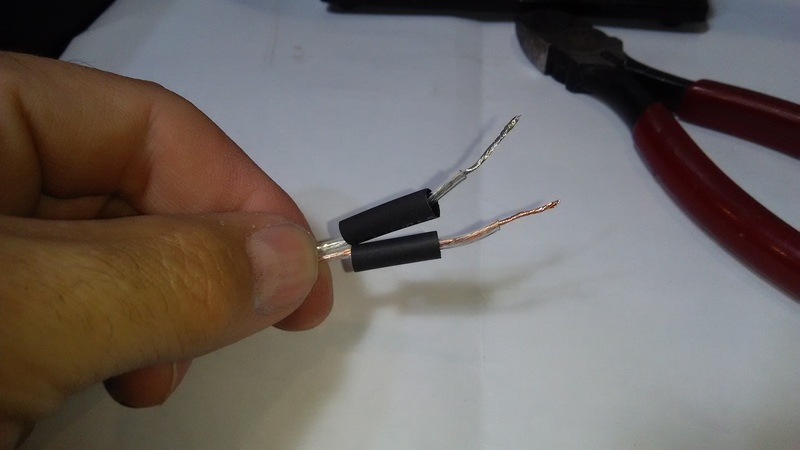 Bbuild another “Y” cable with another 15.5″ wire and another 12″ wire. Connect this “Y” cable to the end of the existing assembly as indicated by the “X” in the image below. 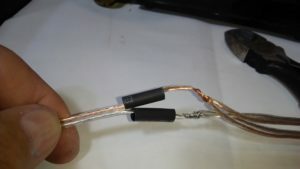 Use another two .5″ long pieces of 5/32″ heat shrink to insulate this connection. Now, we’ll start adding the light strips onto the wiring harness assembly. 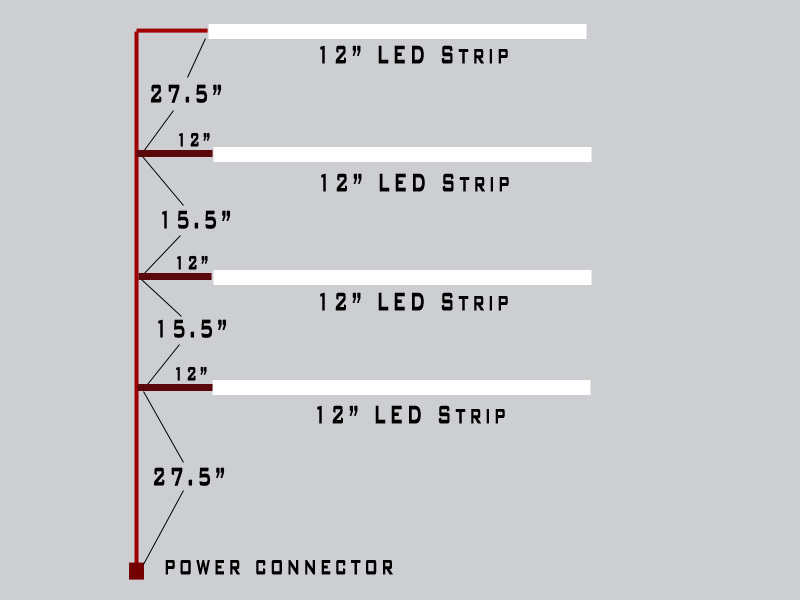 Cut FOUR lengths of LED strip lighting, each being about 12″ long. BE SURE TO ONLY CUT AT THE CUT MARKING as indicated above. Take the first strip of LED lighting, and carefully remove the clear rubber from the end where you just cut it. You can use an Xacto knife for this. 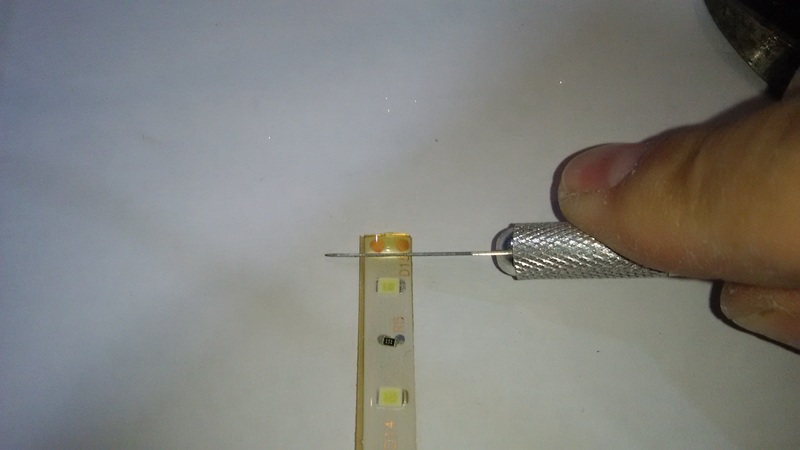 Cut straight down into the rubber, then slice under it (between the rubber and the circuit board). This will expose the pads that you will solder your wires to. 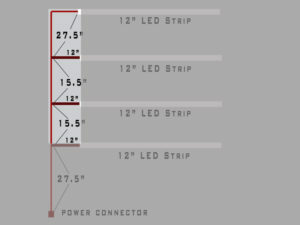 Starting at the very top of the wiring harness assembly (the end of the first 27.5″ piece), strip the wires back about .25″. Tin these leads (if you’re not familiar with soldering and tinning wire, here’s a good video I found on youtube). 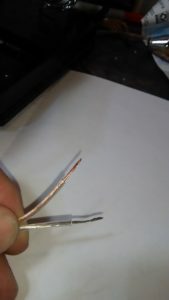 Once you’ve tinned these leads, cut them back so that only a small nub is exposed. 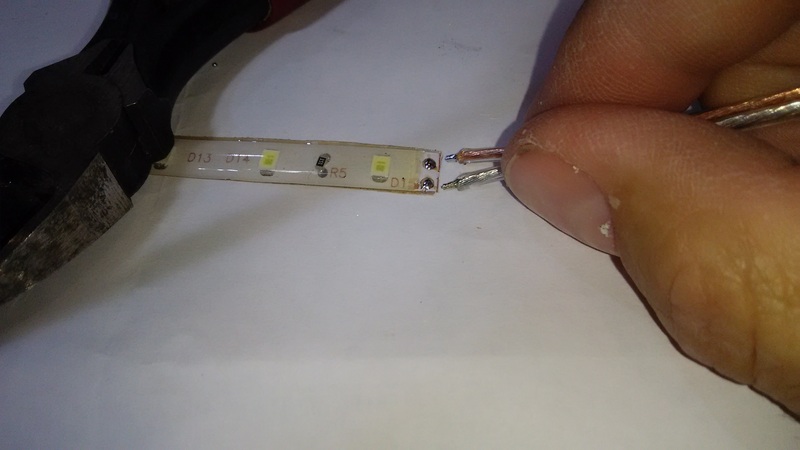 Now, tin the small solder pads on the LED strip that you previously exposed with the Xacto knife. Simply touch the very edge of the pad with your soldering iron, wait a few seconds, and touch your solder to the pad (not the soldering iron). 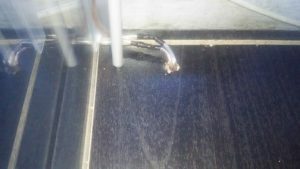 A small pool of solder should adhere to the pad. That’s all you need. Solder the ends of the 27.5″ wire to the solder pads on the light strip. 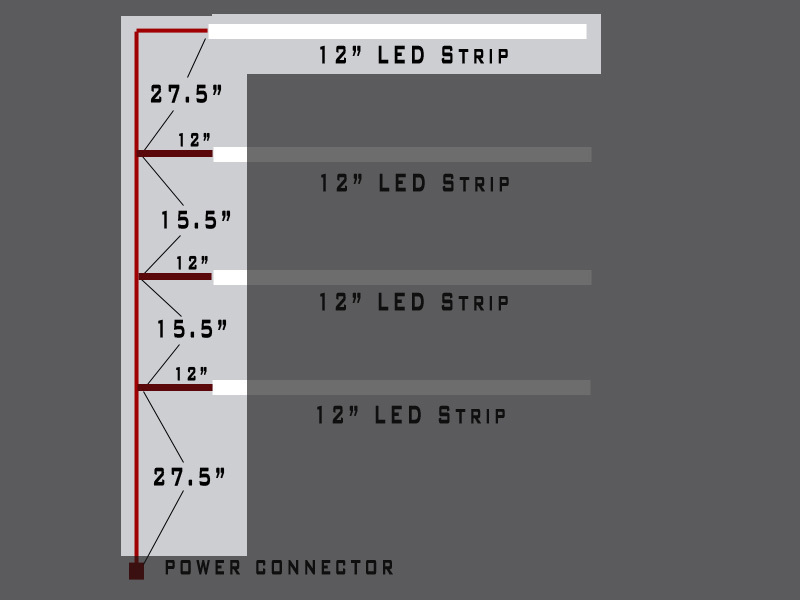 IMPORTANT: Notice that the LED light strips are marked which side is +12 Volts. You MUST connect the same conductor (I used the copper color) to the +12 connection on each light strip. 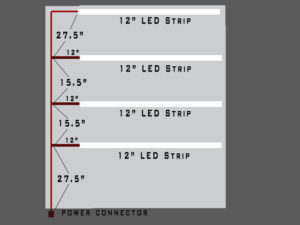 Otherwise the lights won’t work, and you may damage the light strip and/or the power supply. Now, slip .5″ long piece of 1/4″ diameter heat shrink tubing over the opposite end of the light strip, and slide up to cover the solder connection you just made. Shrink it with the heat gun. 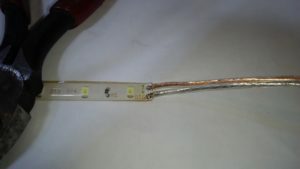 Do NOT leave heat on this too long, too much heat can damage the LEDs and other components of the light strip. 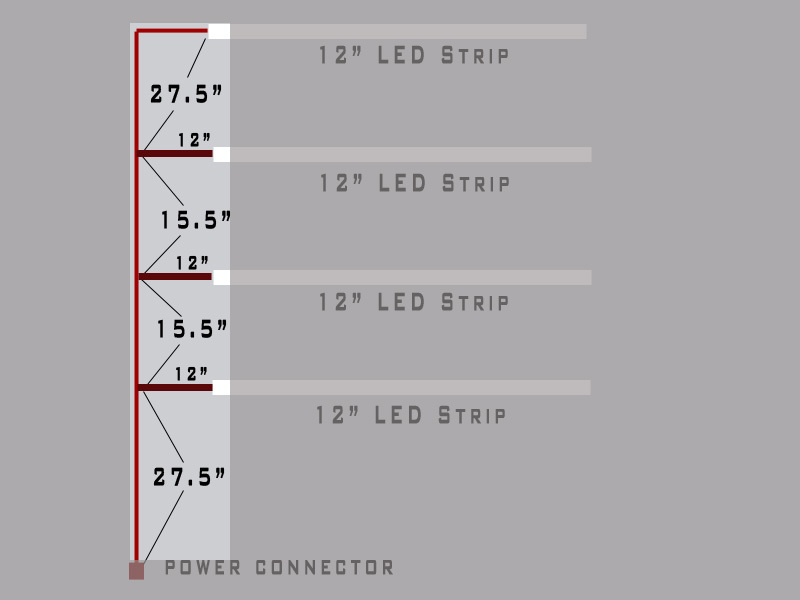 Repeat this process with the other 3 light strips, connecting them to the 12″ legs of the wiring harness. When you’ve done that, you will have completed this much of the assembly. at the very bottom of the wiring harness assembly, strip the wires back about .5″ and tin these leads. These will connect to the power connector, after we’ve installed the lights in the case. Now it’s time to install the lights in the case. The wiring harness will run down the back corner of the case (you can use either side of the case), with the “arms” running along the shelf supports. 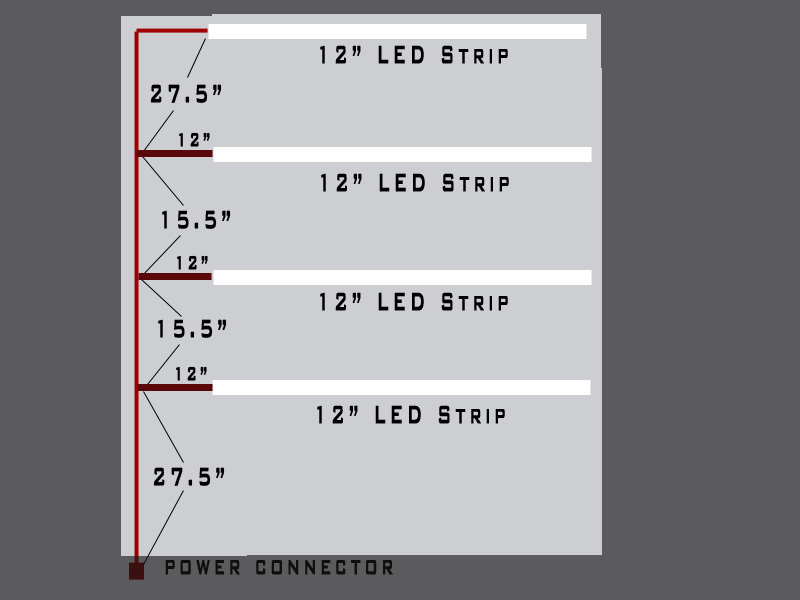 Before sticking the light strips in place, clean the surface where you’ll place each one with rubbing alcohol and a paper towel or lint-free cloth. This will ensure the best adhesion. I start at the back top corner, and loosely zip-tie the wire in place. 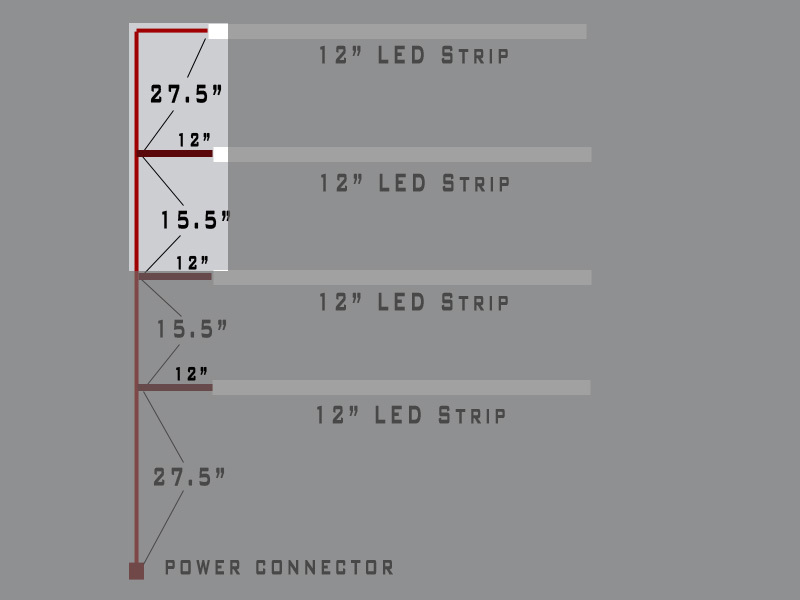 Run the wire along the side at the top, making a bend in the wire about 1.5″ to 2″ from the light strip. 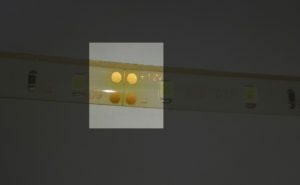 Use the sticky-back on the light strip to stick the light strip to the top of the shelf. Work your way down the back of the shelf. 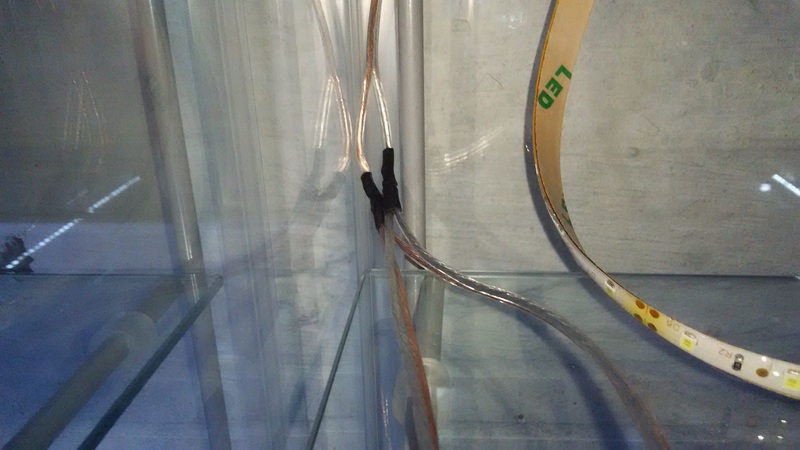 Each heat-shrink covered connection should roughly align with the next shelf down. Zip tie the wire at the corner where the shelf support meets the vertical support. 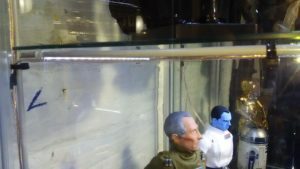 Run the 12″ arm along the shelf support, make a bend in the wire 1.5″ to 2″ back from the light strip, and stick the light strip in place. 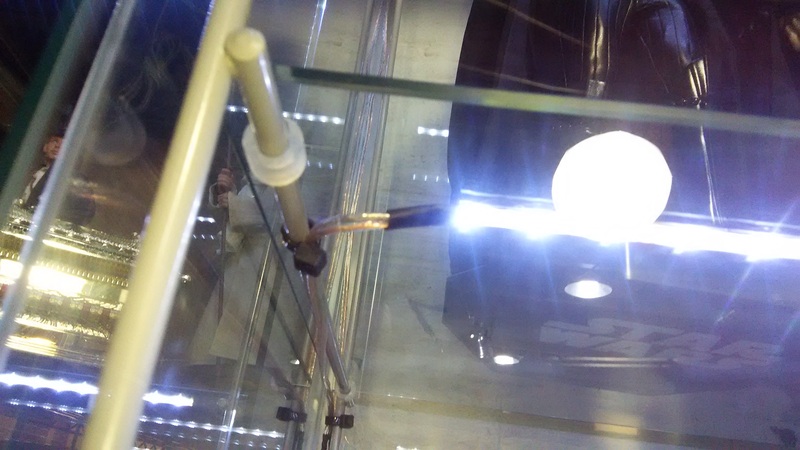 Continue working your way down the shelf, using zip-ties to keep the wire in place, and using the self-stick adhesive to stick the light strips in place. Once you’ve worked your way all the way down the shelf, drill a hole in the bottom wood platform of the shelf, approximately 1″ from the metal support. 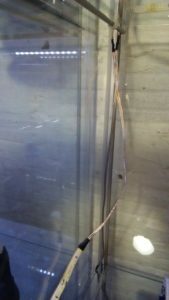 Use a bit just large enough for your wire to fit through. 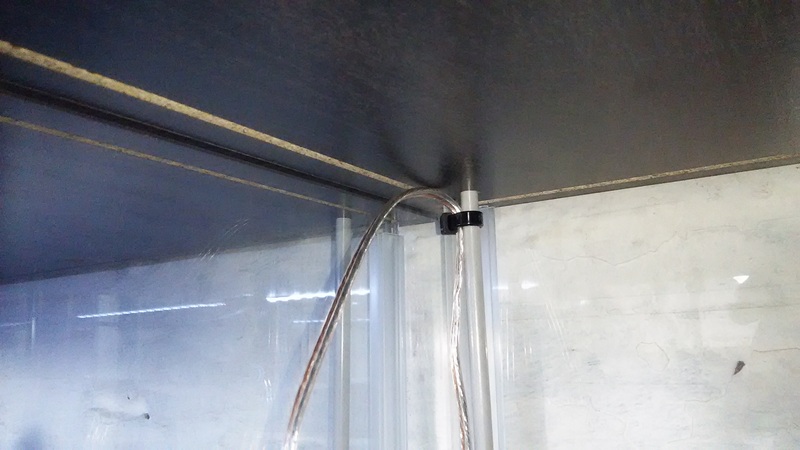 Work the wire down through the hole and out from under the shelf at the back. (NOTE: In this photo, there’s a connection here because I cut the wire too short and had to extend it). Once you’ve worked the wire out the back, connect it to the power connector that came with the power supply. 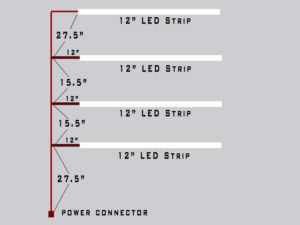 Pay attention to the “+” and “-” marks, connecting the wire that you soldered to the “12V” connections on the light strips to the “+” side. 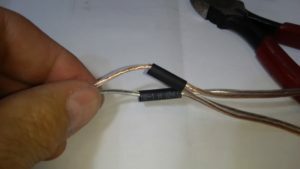 To connect the wire, simply loosen the screws on the connector, insert the solder-tinned ends of the wire, and tighten the screws. Now is time to test. Plug the power supply into your household outlet, and connect it to the power connector. The lights should come on within 1-2 seconds. 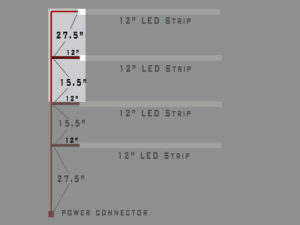 If they don’t, quickly disconnect and check your wiring, making sure the “+” side of the connector goes to the “12V” side of the light strips. 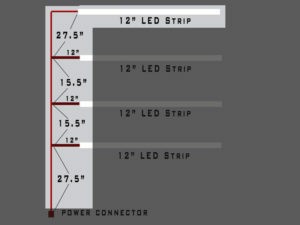 One note: I’ve discovered that sometimes, the self-adhesive on the back of the light strips won’t hold. If that happens, I recommend using THIS MOUNTING TAPE to mount it in place. One roll should do 2 display cases.